An erroneous tweet from The Hill sparked a feud between White House press secretary Sarah Huckabee Sanders and Democratic Rep. Ted Lieu of California. An erroneous tweet from The Hill sparked a feud between White House press secretary Sarah Huckabee Sanders and Democratic Rep. Ted Lieu of California on Monday, in which the two officials accused the other of lying and spending too much time on Twitter. In the article, Sanders is quoted in an interview on “Fox and Friends” saying President Donald Trump “would’ve been happy” to work with Democrats to pass the Republican Party’s tax code reform that has since passed in the House. Nearly an hour later, Lieu replied to a MarketWatch columnist who suggested that “everybody knows she’s lying”: “That is a fair point,” Lieu said. Around two hours later, Sanders quoted Lieu’s first tweet and fired back. “You should spend less time tweeting, more time doing your job,” Sanders continued. Lieu later admitted to his flawed tweet and deleted it, but included a partisan quip in another statement: “Dear @PressSec: If the Hill tweet was incorrect, then my tweet based on it would also be incorrect,” Lieu tweeted. 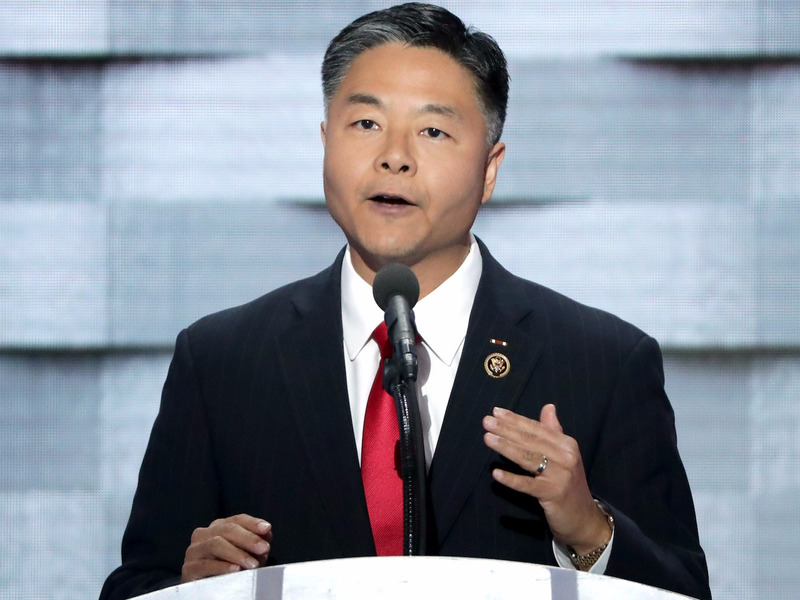 Lieu has been vocal about his opposition toward various Trump administration officials and policies on Twitter, most recently lambasting Republican efforts to reform the US tax code, and accusing the party of hindering special counsel Robert Mueller’s investigation of Russia’s meddling in the 2016 presidential election and possible ties with the Trump campaign.